Friction specialist TMD Friction introduces new packaging for its Textar commercial vehicle drum brake linings. 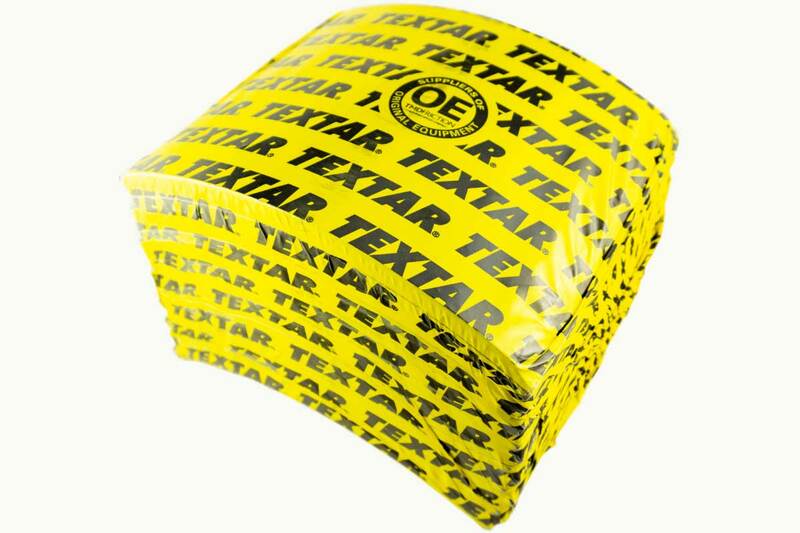 Gradually, the previously used transparent and unprinted film, will be replaced by a sturdier, yellow version, which is provided with a lattice print with the Textar logo. In addition, the outer packaging (box) will be discontinued. The Textar product range for commercial vehicle drum brake linings currently comprises around 600 references and thus achieves a very large coverage of the vehicle parc in the market. “With the new packaging, we will bring the strong Textar brand to the forefront and make it easier for workshops and retailers to identify the original Textar products with its unique packaging. It is important also that we are considering the environment and the use of an outer box will discontinue. By removing the box, we take away the responsibility of our customers having to dispose of the outer packaging” says Sue McKay, Global Category Manager Commercial Vehicles at TMD Friction.